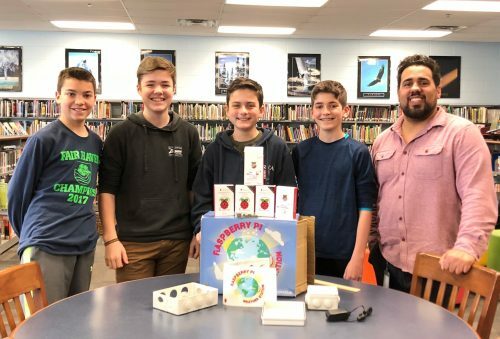 Mike MacHenry built a project that’s pure pi(e) for Pi Day. Introducing: the Pie Pie Chart (powered by Pi). This is a simple little project, the sole purpose of which is to make a pie that outputs visual data to tell you how much of it’s been eaten. Which it does admirably, as you can see in the image above. Mike’s made the code and instructions available under the MIT licence, so I’m just going to paste his text here, because it’s perfect and we can’t improve on it. (You can check it all out on his GitHub too if you like.) Thanks, Mike! In a large bowl, combine the flour, sugar and salt; cut in shortening until mixture resembles coarse crumbs. Download and install Raspbian to an SD card and boot your Raspberry Pi following the instructions on their website. This project has been tested on version 2018-11-13-raspbian-stretch-full, but most any version should work. Combine the egg, water and vinegar; stir into flour mixture just until moistened. Drill holes in each 8″x8″ sheet to support load cell. Divide dough so that one ball is slightly larger than the other; wrap each in plastic wrap. Secure load cell between sheets separated by spacers. Refrigerate (dough, not load cell) for 30 minutes or until easy to handle. Use the breadboard and wires to connect the HX711 load cell to the Raspberry Pi. Follow this tutorial and test to make sure you’re getting a reading using their example script. Meanwhile, in another large bowl, combine the sugar, tapioca, cornstarch and raspberries; let stand for 15 minutes. On a lightly floured surface, roll out larger ball of dough to fit a 9″ pie plate. Transfer dough to pie plate; trim even with edge. Add raspberry filling; dot with butter. Roll out remaining dough to fit top of pie; place over filling. Trim, seal, and flute edges. Cut slits in top. Brush with milk; sprinkle with sugar. Bake at 350° for 50-55 minutes or until crust is golden brown and filling is bubbly. Cool on a wire rack. 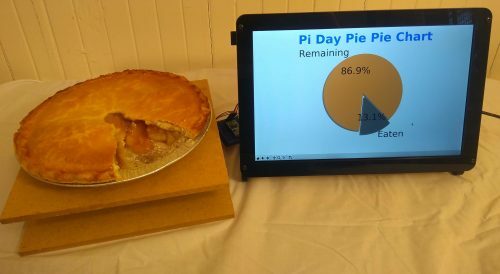 The post Pi-powered pie-consumption pie chart appeared first on Raspberry Pi. It’s a public holiday here today (yes, again). 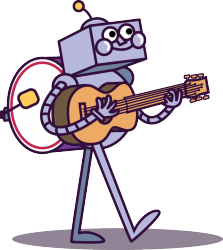 So, while we indulge in the traditional pastime of barbecuing stuff (ourselves, mainly), here’s a little trove of Pi projects that cater for our various furry friends. Nicole Horward created Project Floofball for her hamster, Harold. It’s an IoT hamster wheel that uses a Raspberry Pi and a magnetic door sensor to log how far Harold runs. An IoT Hamsterwheel using a Raspberry Pi and a magnetic door sensor, to see how far my hamster runs. You can follow Harold’s runs in real time on his ThingSpeak channel, and you’ll find photos of the build on imgur. 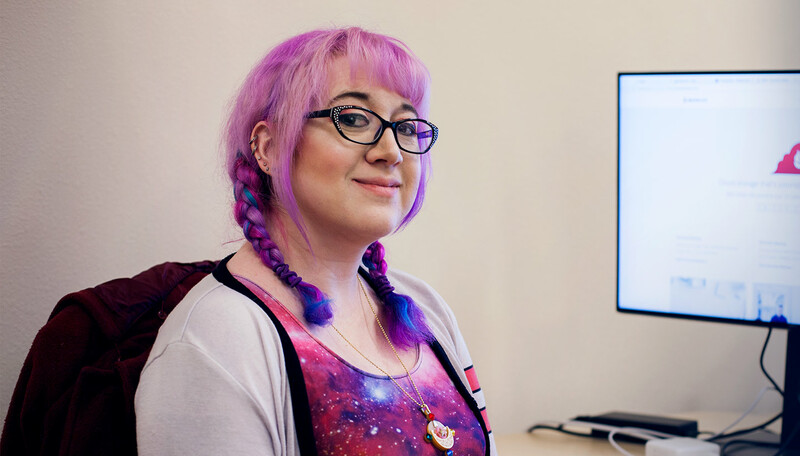 Nicole’s Python code, as well as her template for the laser-cut enclosure that houses the wiring and LCD display, are available on the hamster wheel’s GitHub repo. JaganK3 used to work long hours that meant he couldn’t be there to feed his dog on time. He found that he couldn’t buy an automated feeder in India without paying a lot to import one, so he made one himself. 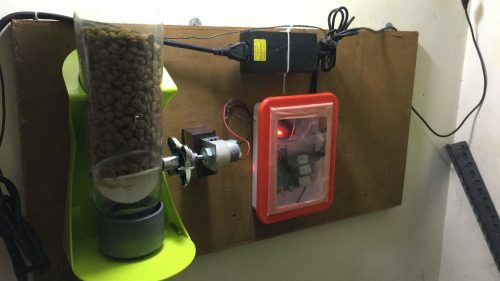 It uses a Raspberry Pi to control a motor that turns a dispensing valve in a hopper full of dry food, giving his dog a portion of food at set times. He also added a web cam for live video streaming, because he could. Find out more in JaganK3’s Instructable for his pet feeder. 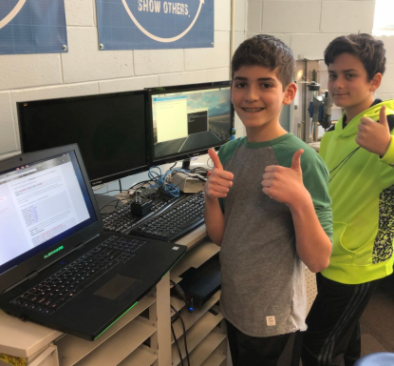 Sam Storino, meanwhile, is using a Raspberry Pi to control a laser-pointer cat toy with a goshdarned SHARK (which is kind of what I’d expect from the guy who made the steampunk-looking cat feeder a few weeks ago). The idea is to keep his cats interested and active within the confines of a compact city apartment. If I were a cat, I would definitely be entirely happy with this. Find out more on Sam’s website. Michel Parreno has written a series of articles to help you monitor and feed your pet with Raspberry Pi. All of these makers are generous in acknowledging the tutorials and build logs that helped them with their projects. 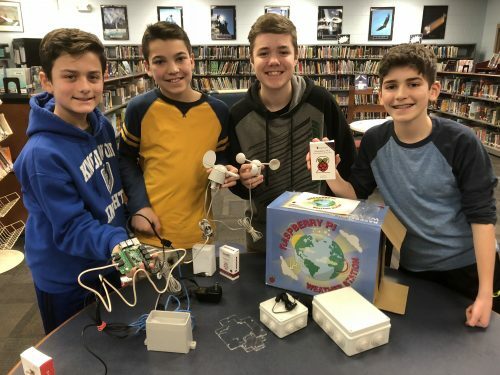 It’s lovely to see the Raspberry Pi and maker community working like this, and I bet their projects will inspire others too. Now, if you’ll excuse me. I’m late for a barbecue. 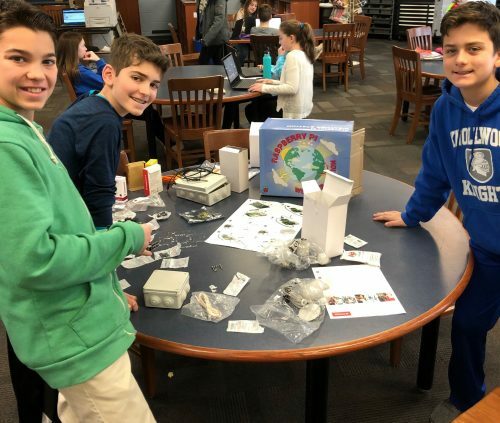 The post Project Floofball and more: Pi pet stuff appeared first on Raspberry Pi. The Backblaze production team is growing and that means the data center is increasingly gaining some new faces. One of the newest to join the team is Josh! Lets learn a bit more about Josh shall we? I’m a Data Center Technician in the Sacramento area. I lived all over the California central valley growing up. Backblaze is the best of a few worlds — cool startup meets professional DIYers meets transparent tech company (a rare thing). I expect to learn about Data Center operations, and continue to develop the Linux skills that landed me here. Building and playing with new and useful toys. Darmok and Jalad at Tanagra. Tacos. No, burgers. No, it’s sushi. No, gyros. I can’t choose. I like things that I can take apart and rebuild and turn every knob and adjust every piece. It means there’s a lot to learn, and I definitely like that. The post Welcome Josh — Data Center Technician appeared first on Backblaze Blog | Cloud Storage & Cloud Backup. The Backblaze web team is growing! As we add more features and work on our website we need more hands to get things done. 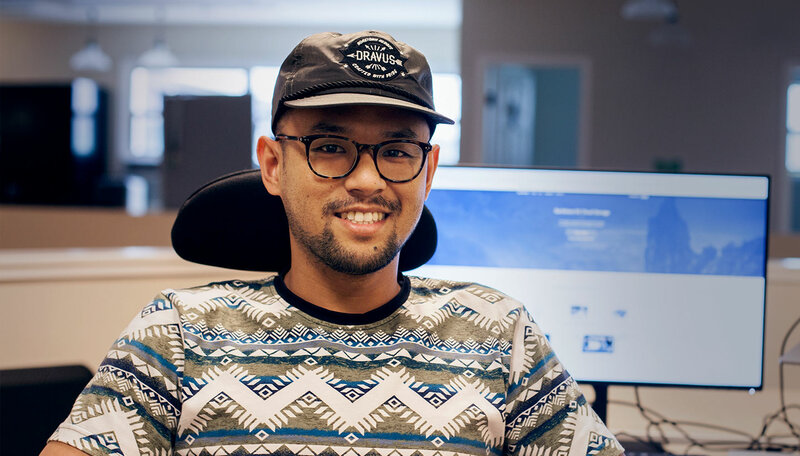 Enter Steven, who joins us as an Associate Front End Developer. Steven is going to be getting his hands dirty and diving in to the fun-filled world of web development. Lets learn a bit more about Steven shall we? The Bronx, New York born and raised. The team behind Backblaze made me feel like family from the moment I stepped in the door. The level of respect and dedication they showed me is the same respect and dedication they show their customers. 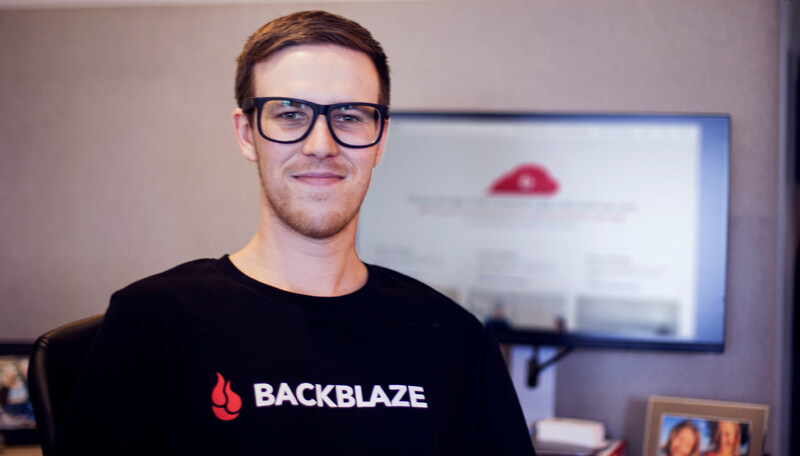 Those qualities made wanting to be a part of Backblaze a no brainer! I expect to grow as a software developer and human being by absorbing as much as I can from the immensely talented people I’ll be surrounded by. I previously worked at The Greenwich Hotel where I was a front desk concierge and bellman. If the team at Backblaze is anything like the team I was a part of there then this is going to be a fun ride. I studied at Baruch College and Bloc. My dream job is one where I’m able to express 100% of my creativity. Watching my Yankees, Knicks or Jets play. … Water. Black iced tea? One of god’s finer creations. Mangu con Los Tres Golpes (Mashed Plantains with Fried Salami, Eggs & Cheese). I like things that give me good vibes. If you break any complex concept down into to its simplest parts you’ll have an easier time trying to fully grasp it. Those are some serious words of wisdom from Steven. 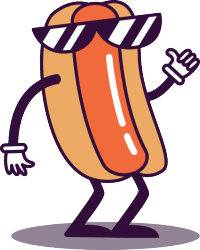 We look forward to him helping us get cool stuff out the door! 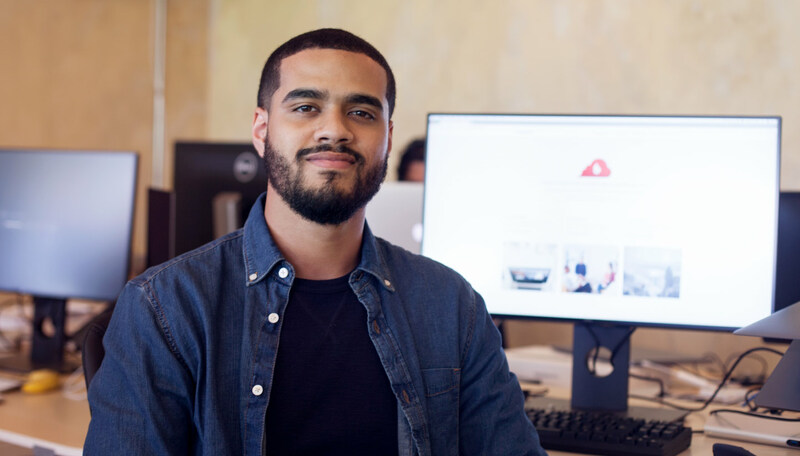 The post Welcome Steven: Associate Front End Developer appeared first on Backblaze Blog | Cloud Storage & Cloud Backup. Ever since we introduced our Groups feature, Backblaze for Business has been growing at a rapid rate! We’ve been staffing up in order to support the product and the newest addition to the sales team, Victoria, joins us as a Sales Development Representative! Let’s learn a bit more about Victoria, shall we? The leaders and family-style culture. How to sell, sell, sell! The North Carolina Autism Society, an ophthalmologist’s office, home health care, and another tech startup. The University of North Carolina Chapel Hill and Duke University’s Fuqua School of Business. Fighter pilot, professional snowboarder or killer whale trainer. Missionary work and helping patients feel better. Neither, but probably Star Wars. Because God made me that way. I’m a germophobe, drink a lot of water and unfortunately, am introverted. Being on the phones all day is a good way to build up those extroversion skills! Welcome to the team and we hope you enjoy learning how to sell, sell, sell! The post Welcome Victoria — Sales Development Representative appeared first on Backblaze Blog | Cloud Storage & Cloud Backup. 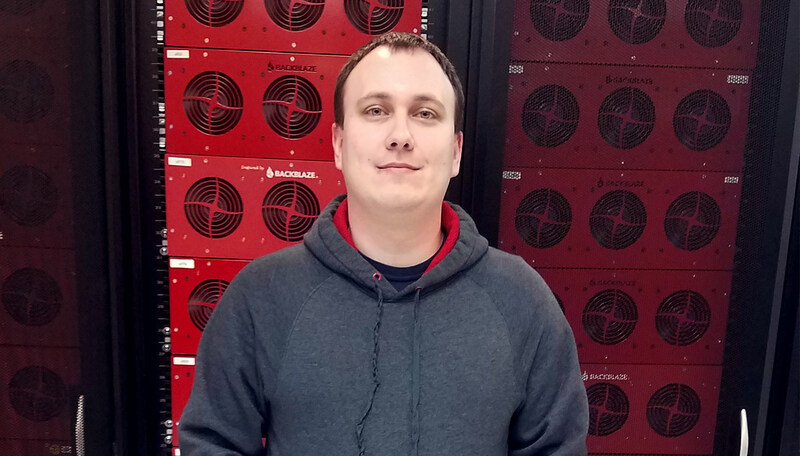 Welcome Daren – Datacenter Technician! The datacenter team continues to expand and the latest person to join the team is Daren! He’s very well versed with our infrastructure and is a welcome addition to the caregivers for our ever-growing fleet! The Pods! 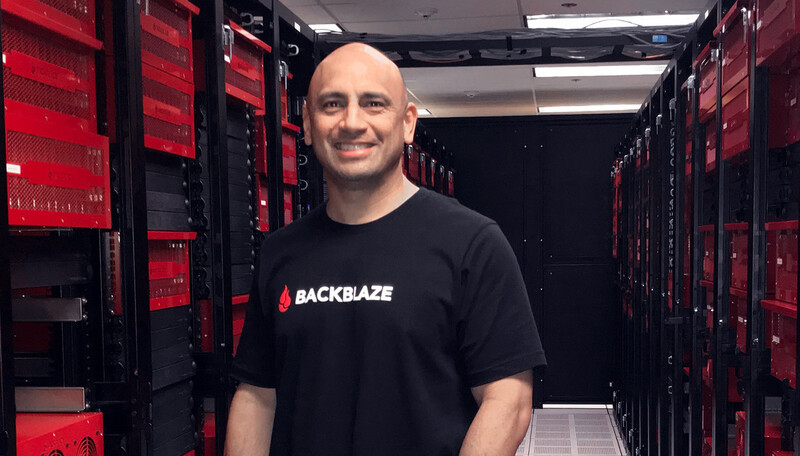 I’ve always thought Backblaze had a great business concept and I wanted to be a part of the team that helps build it and make it a huge success. Everything about Backblaze and what makes it tick. Sungard Availability Services, ASC Profiles, and Reids Family Martial Arts. American River College and Techskills of California. I always had interest in Architecture. I’m not sure how good I would be at it but building design is something that I would have liked to try. My favorite place to travel is the Philippines. I have a lot of family their and I mostly like to visit the smaller villages far from the busy city life. White sandy beaches, family, and Lumpia! Martial Arts – its challenging, great exercise, and a lot of fun! One of my favorite foods is Lumpia. Its the cousin of the Egg Roll but much more amazing. Made of a thin pastry wrapper with a mixture of fillings, consisting of chopped vegetables, ground beef or pork, and potatoes. I like certain things that take me to places I have never been before. I am excited to be apart of the Backblaze team. Welcome aboard Daren! We’d love to try some of that lumpia sometime! The post Welcome Daren – Datacenter Technician! appeared first on Backblaze Blog | Cloud Storage & Cloud Backup. With over 500 Petabytes of data under management we need more people keeping the drives spinning in our data center. We’re constantly hiring Systems Administrators and Data Center Technicians, and here’s our latest one! Lets learn a bit more about Jacob, shall we? It’s a technical job that believes in training it’s employees and treating them well. I was a Team Lead at Target, I did some volunteer work with the Ventura County Medical Center, and I also worked at a motocross track. Don’t really have one. Whatever can support my family and that I enjoy. Yosemite National Park for the touristy stuff, Bend Oregon for a good getaway place. 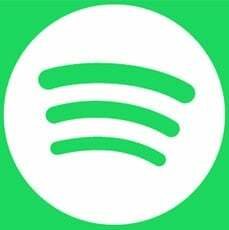 Gaming and music. It’s a tie. Wars. 100%. I’m a major Star Wars geek. Because my brain tells me I like them. Thank you for helping care for all of our customer’s data. Welcome to the data center team Jacob! The post Welcome Jacob – Data Center Technician appeared first on Backblaze Blog | Cloud Storage & Cloud Backup. Off of northern Spain, giant squid often feed on schools of fish called blue whiting. The schools swim 400 meters or less below the surface, while the squid prefer to hang out around a mile deep. The squid must ascend to hunt, probably seizing fish from below with their tentacles, then descend again. In this scenario, a squid could save energy by pirating food from its neighbor rather than hunting its own fish, Guerra says: If the target squid has already carried its prey back to the depths to eat, the pirate could save itself a trip up to the shallow water. Staying below would also protect a pirate from predators such as dolphins and sperm whales that hang around the fish schools. Backblaze is growing, and with it our need to cater to a lot of different use cases that our customers bring to us. We needed a Solutions Engineer to help out, and after a long search we’ve hired our first one! Lets learn a bit more about Nathan shall we? Solutions Engineer. Our customers bring a thousand different use cases to both B1 and B2, and I’m here to help them figure out how best to make those use cases a reality. Also, any odd jobs that Nilay wants me to do. I am native to the San Francisco Bay Area, studying mathematics at UC Santa Cruz, and then computer science at California University of Hayward (which has since renamed itself California University of the East Hills. I observe that it’s still in Hayward). As a stable, growing company with huge growth and even bigger potential, the business model is attractive, and the team is outstanding. Add to that the strong commitment to transparency, and it’s a hard company to resist. We can store – and restore – data while offering superior reliability at an economic advantage to do-it-yourself, and that’s a great place to be. Everything I need to, but principally how our customers choose to interact with web storage. Storage isn’t a solution per se, but it’s an important component of any persistent solution. I’m looking forward to working with all the different concepts our customers have to make use of storage. All sorts of places, but I’ll admit publicly to EMC, Gemalto, and my own little (failed, alas) startup, IC2N. I worked with low-level document imaging. UC Santa Cruz, BA Mathematics CU Hayward, Master of Science in Computer Science. Sipping tea in the California redwood forest. However, solutions engineer at Backblaze is a good second choice! Ashland, Oregon, for the Oregon Shakespeare Festival and the marble caves (most caves form from limestone). Theater. Pathfinder. Writing. Baking cookies and cakes. Marrying the most wonderful man in the world. Star Trek’s utopian science fiction vision of humanity and science resonates a lot more strongly with me than the dystopian science fantasy of Star Wars. Neither. I’d much rather have a cup of jasmine tea. It varies, but I love Indian and Thai cuisine. Truly excellent Italian food is marvelous – wood fired pizza, if I had to pick only one, but the world would be a boring place with a single favorite food. If I knew that, I’d be in marketing. If you haven’t already encountered the amazing authors Patricia McKillip and Lois McMasters Bujold – go encounter them. Be happy. There’s nothing wrong with a nice cup of tea and a long game of Pathfinder. Sign us up! Welcome to the team Nathan! The post Welcome Nathan – Our Solutions Engineer appeared first on Backblaze Blog | Cloud Storage & Cloud Backup. Join us at Raspberry Fields 2018! 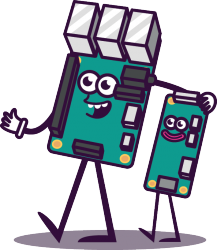 This summer, the Raspberry Pi Foundation is bringing you an all-new community event taking place in Cambridge, UK! 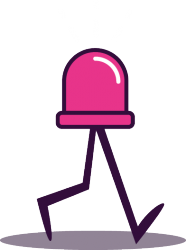 On the weekend of Saturday 30 June and Sunday 1 July 2018, the Pi Towers team, with lots of help from our community of young people, educators, hobbyists, and tech enthusiasts, will be running Raspberry Fields, our brand-new annual festival of digital making! It will be a chance for people of all ages and skill levels to have a go at getting creative with tech, and it will be a celebration of all that our digital makers have already learnt and achieved, whether through taking part in Code Clubs, CoderDojos, or Raspberry Jams, or through trying our resources at home. At Raspberry Fields, you will have the chance to inspire your inner inventor! Learn about amazing projects others in the community are working on, such as cool robots and wearable technology; have a go at a variety of hands-on activities, from home automation projects to remote-controlled vehicles and more; see fascinating science- and technology-related talks and musical performances. After your visit, you’ll be excited to go home and get making! If you’re wondering about bringing along young children or less technologically minded family members or friends, there’ll be plenty for them to enjoy — with lots of festival-themed activities such as face painting, fun performances, free giveaways, and delicious food, Raspberry Fields will have something for everyone! This two-day ticketed event will be taking place at Cambridge Junction, the city’s leading arts centre. Tickets are £5 if you are aged 16 or older, and free for everyone under 16. Get your tickets by clicking the button on the Raspberry Fields web page! We are currently looking for people who’d like to contribute activities, talks, or performances with digital themes to the festival. This could be something like live music, dance, or other show acts; talks; or drop-in making activities. In addition, we’re looking for artists who’d like to showcase interactive digital installations, for proud makers who are keen to exhibit their projects, and for vendors who’d like to join in. We particularly encourage young people to showcase projects they’ve created or deliver talks on their digital making journey! Your contribution to Raspberry Fields should focus on digital making and be fun and engaging for an audience of various ages. However, it doesn’t need to be specific to Raspberry Pi. You might be keen to demonstrate a project you’ve built, do a short Q&A session on what you’ve learnt, or present something more in-depth in the auditorium; maybe you’re one of our approved resellers wanting to showcase in our market area. 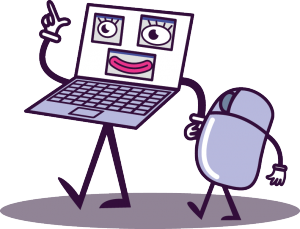 We’re also looking for digital makers to run drop-in activity sessions, as well as for people who’d like to be marshals with smiling faces who will ensure that everyone has a wonderful time! If you’d like to take part in Raspberry Fields, let us know via this form, and we’ll be in touch with you soon. The post Join us at Raspberry Fields 2018! appeared first on Raspberry Pi. 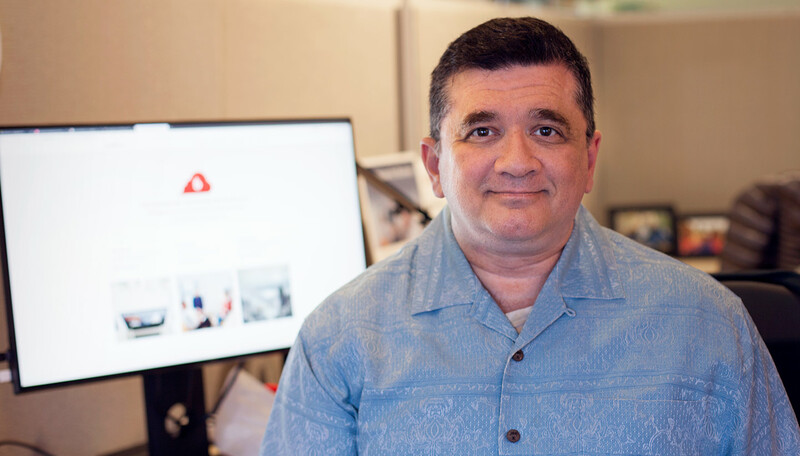 Backblaze is growing rapidly and as we have more and more job listings coming online and more employees to corral, we needed another member on our Human Resources team! Enter Michele, who is joining the HR folks to help recruit, onboard, and expand our HR organization. Lets learn a bit more about Michele shall we? I was born and raised in the East Bay. The opportunity to learn new skills, as most of my experience is in office administration… I’m excited to jump into the HR world! So much! All of the ins and outs of HR, the hiring and onboarding processes, and everything in between…so excited! I’ve previously worked at Clars Auction Gallery where I was Consignor Relations for 6 years, and most recently at Stellar Academy for Dyslexics where I was the Office Administrator/Bookkeeper. San Francisco Institute of Esthetics and Cosmetology. Maui. I could lay on the beach and bob in the water all day, every day! But also, Disney World…who doesn’t love a good Disney vacation? Pretty much everything…street tacos, ramen, sushi, Thai, pho. Another person who loves Disney! Welcome to the team Michele, we’ll have lots of tea ready for you! The post Welcome Michele – Our HR Coordinator appeared first on Backblaze Blog | Cloud Storage & Cloud Backup. John Oliver covered bitcoin/cryptocurrencies last night. I thought I’d describe a bunch of things he gets wrong. Nowhere in the show does it describe what Bitcoin is and how it works. Discussions should always start with Satoshi Nakamoto’s original paper. 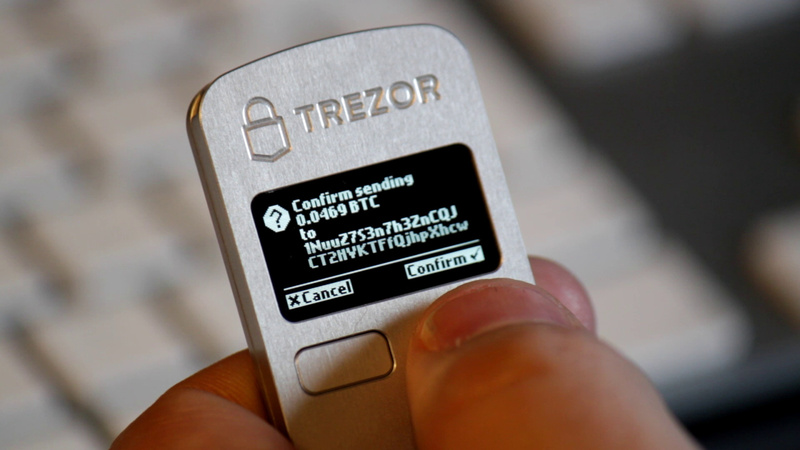 The thing Satoshi points out is that there is an important cost to normal transactions, namely, the entire legal system designed to protect you against fraud, such as the way you can reverse the transactions on your credit card if it gets stolen. The point of Bitcoin is that there is no way to reverse a charge. 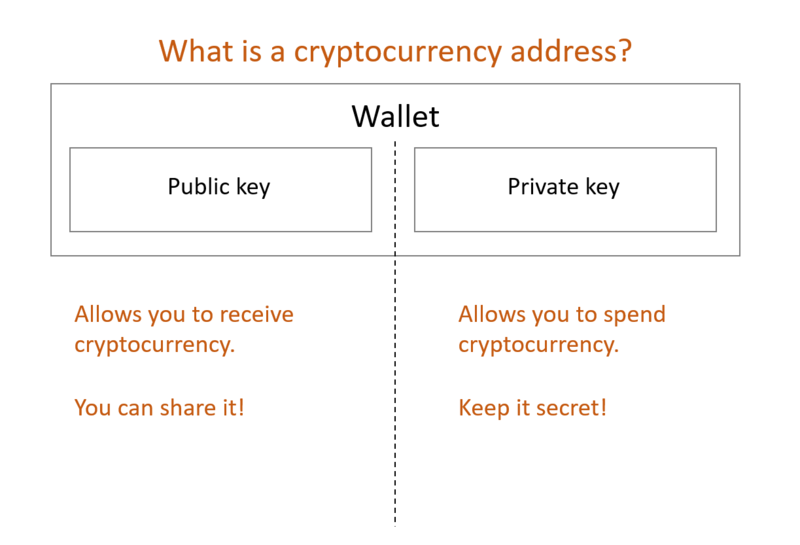 A transaction is done via cryptography: to transfer money to me, you decrypt it with your secret key and encrypt it with mine, handing ownership over to me with no third party involved that can reverse the transaction, and essentially no overhead. 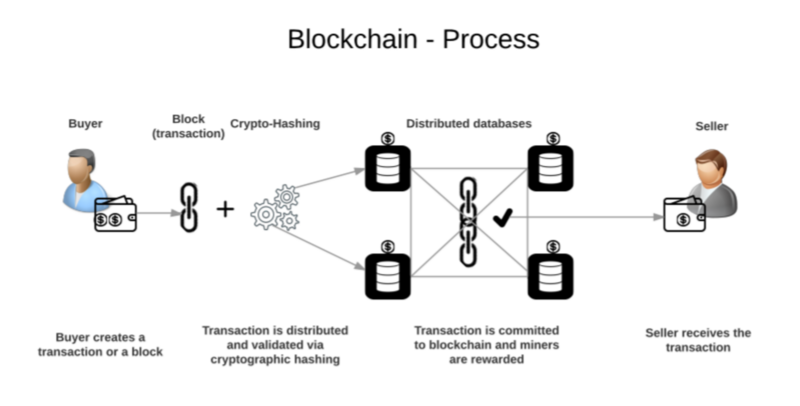 All the rest of the stuff, like the decentralized blockchain and mining, is all about making that work. Bitcoin crazies forget about the original genesis of Bitcoin. For example, they talk about adding features to stop fraud, reversing transactions, and having a central authority that manages that. This misses the point, because the existing electronic banking system already does that, and does a better job at it than cryptocurrencies ever can. If you want to mock cryptocurrencies, talk about the “DAO”, which did exactly that — and collapsed in a big fraudulent scheme where insiders made money and outsiders didn’t. Sticking to Satoshi’s original ideas are a lot better than trying to repeat how the crazy fringe activists define Bitcoin. How does any money have value? Oliver’s answer is currencies have value because people agree that they have value, like how they agree a Beanie Baby is worth $15,000. This is wrong. A better way of asking the question why the value of money changes. The dollar has been losing roughly 2% of its value each year for decades. This is called “inflation”, as the dollar loses value, it takes more dollars to buy things, which means the price of things (in dollars) goes up, and employers have to pay us more dollars so that we can buy the same amount of things. The reason the value of the dollar changes is largely because the Federal Reserve manages the supply of dollars, using the same law of Supply and Demand. As you know, if a supply decreases (like oil), then the price goes up, or if the supply of something increases, the price goes down. The Fed manages money the same way: when prices rise (the dollar is worth less), the Fed reduces the supply of dollars, causing it to be worth more. Conversely, if prices fall (or don’t rise fast enough), the Fed increases supply, so that the dollar is worth less. The reason money follows the law of Supply and Demand is because people use money, they consume it like they do other goods and services, like gasoline, tax preparation, food, dance lessons, and so forth. It’s not like a fine art painting, a stamp collection or a Beanie Baby — money is a product. It’s just that people have a hard time thinking of it as a consumer product since, in their experience, money is what they use to buy consumer products. But it’s a symmetric operation: when you buy gasoline with dollars, you are actually selling dollars in exchange for gasoline. That you call one side in this transaction “money” and the other “goods” is purely arbitrary, you call gasoline money and dollars the good that is being bought and sold for gasoline. The reason dollars is a product is because trying to use gasoline as money is a pain in the neck. Storing it and exchanging it is difficult. Goods like this do become money, such as famously how prisons often use cigarettes as a medium of exchange, even for non-smokers, but it has to be a good that is fungible, storable, and easily exchanged. Dollars are the most fungible, the most storable, and the easiest exchanged, so has the most value as “money”. Sure, the mechanic can fix the farmers car for three chickens instead, but most of the time, both parties in the transaction would rather exchange the same value using dollars than chickens. So the value of dollars is not like the value of Beanie Babies, which people might buy for $15,000, which changes purely on the whims of investors. Instead, a dollar is like gasoline, which obey the law of Supply and Demand. This brings us back to the question of where Bitcoin gets its value. While Bitcoin is indeed used like dollars to buy things, that’s only a tiny use of the currency, so therefore it’s value isn’t determined by Supply and Demand. Instead, the value of Bitcoin is a lot like Beanie Babies, obeying the laws of investments. So in this respect, Oliver is right about where the value of Bitcoin comes, but wrong about where the value of dollars comes from. John Oliver points out the irony of a Bitcoin conference that stopped accepting payments in Bitcoin for tickets. The biggest reason for this is because Bitcoin has become so popular that transaction fees have gone up. Instead of being proof of failure, it’s proof of popularity. What John Oliver is saying is the old joke that nobody goes to that popular restaurant anymore because it’s too crowded and you can’t get a reservation. 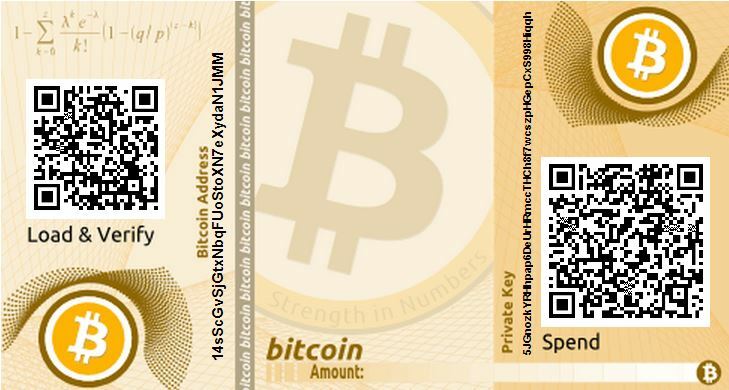 Moreover, the point of Bitcoin is not to replace everyday currencies for everyday transactions. If you read Satoshi Nakamoto’s whitepaper, it’s only goal is to replace certain types of transactions, like purely electronic transactions where electronic goods and services are being exchanged. Where real-life goods/services are being exchanged, existing currencies work just fine. It’s only the crazy activists who claim Bitcoin will eventually replace real world currencies — the saner people see it co-existing with real-world currencies, each with a different value to consumers. John Oliver uses the metaphor of turning a that while you can process a chicken into McNuggets, you can’t reverse the process. It’s a funny metaphor. But it’s not clear what the heck this metaphor is trying explain. That’s not a metaphor for the blockchain, but a metaphor for a “cryptographic hash”, where each block is a chicken, and the McNugget is the signature for the block (well, the block plus the signature of the last block, forming a chain). Even then that metaphor as problems. The McNugget produced from each chicken must be unique to that chicken, for the metaphor to accurately describe a cryptographic hash. You can therefore identify the original chicken simply by looking at the McNugget. A slight change in the original chicken, like losing a feather, results in a completely different McNugget. Thus, nuggets can be used to tell if the original chicken has changed. This then leads to the key property of the blockchain, it is unalterable. 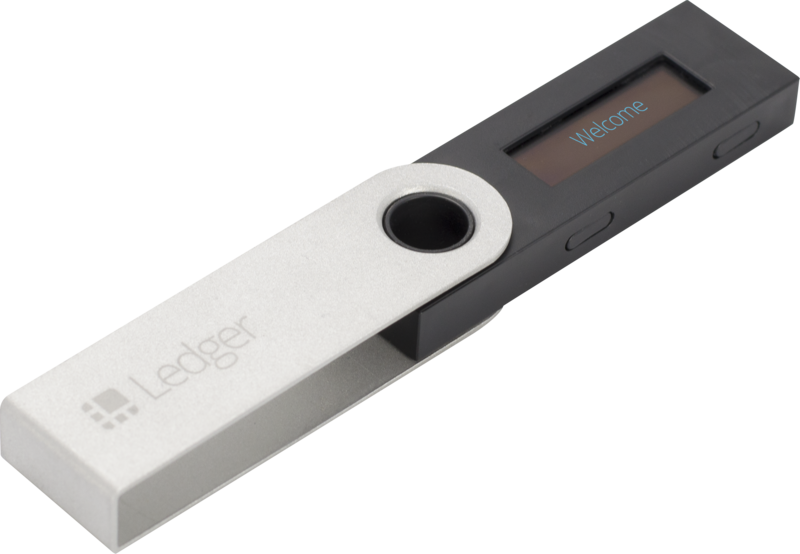 You can’t go back and change any of the blocks of data, because the fingerprints, the nuggets, will also change, and break the nugget chain. 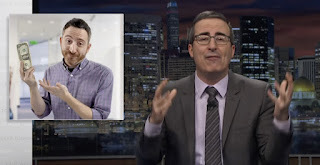 The point is that while John Oliver is laughing at a silly metaphor to explain the blockchain becuase he totally misses the point of the metaphor. Oliver rightly says “don’t worry if you don’t understand it — most people don’t”, but that includes the big companies that John Oliver name. Some companies do get it, and are producing reasonable things (like JP Morgan, by all accounts), but some don’t. IBM and other big consultancies are charging companies millions of dollars to consult with them on block chain products where nobody involved, the customer or the consultancy, actually understand any of it. That doesn’t stop them from happily charging customers on one side and happily spending money on the other. Thus, rather than Oliver explaining the problem, he’s just being part of the problem. His explanation of blockchain left you dumber than before. John Oliver mocks the Brave ICO ($35 million in 30 seconds), claiming it’s all driven by YouTube personalities and people who aren’t looking at the fundamentals. And while this is true, most ICOs are bunk, the Brave ICO actually had a business model behind it. Brave is a Chrome-like web-browser whose distinguishing feature is that it protects your privacy from advertisers. If you don’t use Brave or a browser with an ad block extension, you have no idea how bad things are for you. 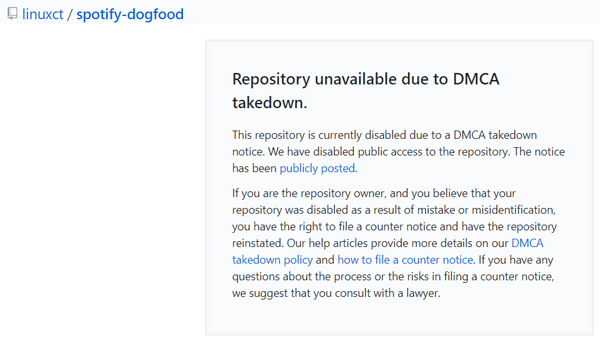 However, this presents a problem for websites that fund themselves via advertisements, which is most of them, because visitors no longer see ads. Brave has a fix for this. Most people wouldn’t mind supporting the websites they visit often, like the New York Times. 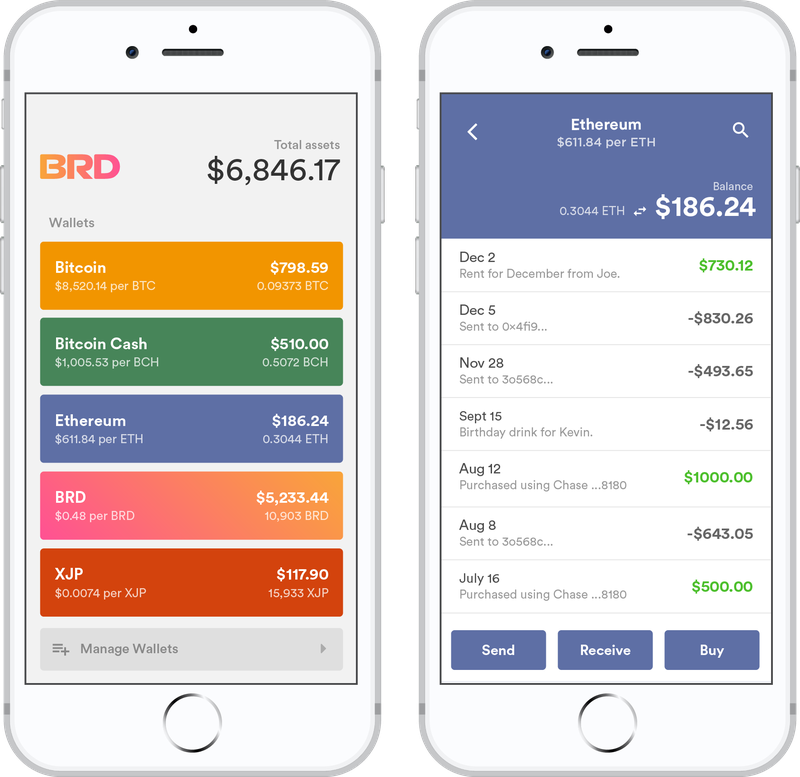 That’s where the Brave ICO “token” comes in: it’s not simply stock in Brave, but a token for micropayments to websites. Users buy tokens, then use them for micropayments to websites like New York Times. The New York Times then sells the tokens back to the market for dollars. The buying and selling of tokens happens without a centralized middleman. 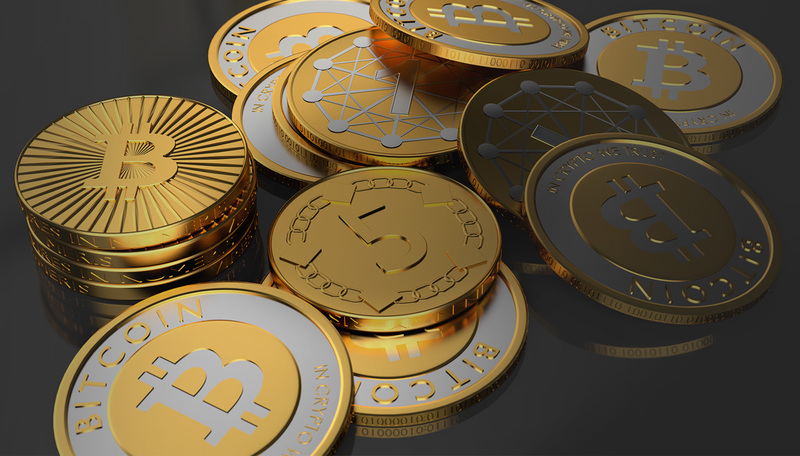 How to you make money from Bitcoin? The last part of the show is dedicated to describing all the scam out there, advising people to be careful, and to be “responsible”. This is garbage. It’s like my simple two step process to making lots of money via Bitcoin: (1) buy when the price is low, and (2) sell when the price is high. My advice is correct, of course, but useless. Same as “be careful” and “invest responsibly”. The truth about investing in cryptocurrencies is “don’t”. The only responsible way to invest is to buy low-overhead market index funds and hold for retirement. No, you won’t get super rich doing this, but anything other than this is irresponsible gambling. It’s a hard lesson to learn, because everyone is telling you the opposite. The entire channel CNBC is devoted to day traders, who buy and sell stocks at a high rate based on the same principle as a ponzi scheme, basing their judgment not on the fundamentals (like long term dividends) but animal spirits of whatever stock is hot or cold at the moment. This is the same reason people buy or sell Bitcoin, not because they can describe the fundamental value, but because they believe in a bigger fool down the road who will buy it for even more. For things like Bitcoin, the trick to making money is to have bought it over 7 years ago when it was essentially worthless, except to nerds who were into that sort of thing. It’s the same tick to making a lot of money in Magic: The Gathering trading cards, which nerds bought decades ago which are worth a ton of money now. Or, to have bought Apple stock back in 2009 when the iPhone was new, when nerds could understand the potential of real Internet access and apps that Wall Street could not. That was my strategy: be a nerd, who gets into things. I’ve made a good amount of money on all these things because as a nerd, I was into Magic: The Gathering, Bitcoin, and the iPhone before anybody else was, and bought in at the point where these things were essentially valueless. At this point with cryptocurrencies, with the non-nerds now flooding the market, there little chance of making it rich. The lottery is probably a better bet. Instead, if you want to make money, become a nerd, obsess about a thing, understand a thing when its new, and cash out once the rest of the market figures it out. That might be Brave, for example, but buy into it because you’ve spent the last year studying the browser advertisement ecosystem, the market’s willingness to pay for content, and how their Basic Attention Token delivers value to websites — not because you want in on the ICO craze. John Oliver spends 25 minutes explaining Bitcoin, Cryptocurrencies, and the Blockchain to you. Sure, it’s funny, but it leaves you worse off than when it started. 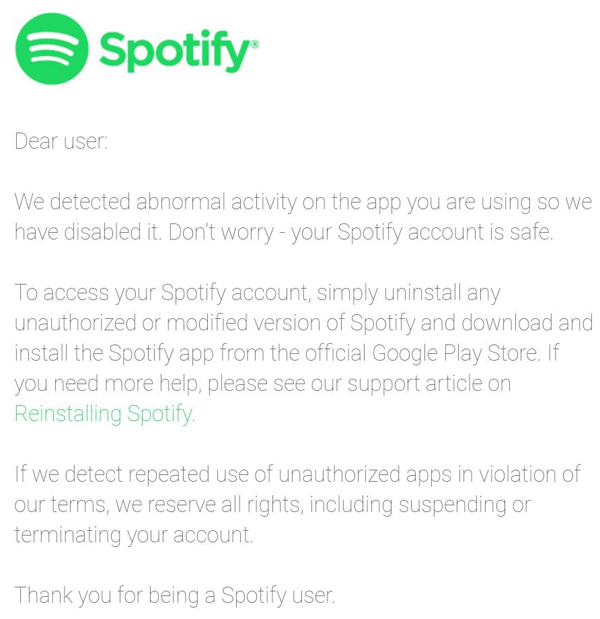 It admits they “simplify” the explanation, but they simplified it so much to the point where they removed all useful information. 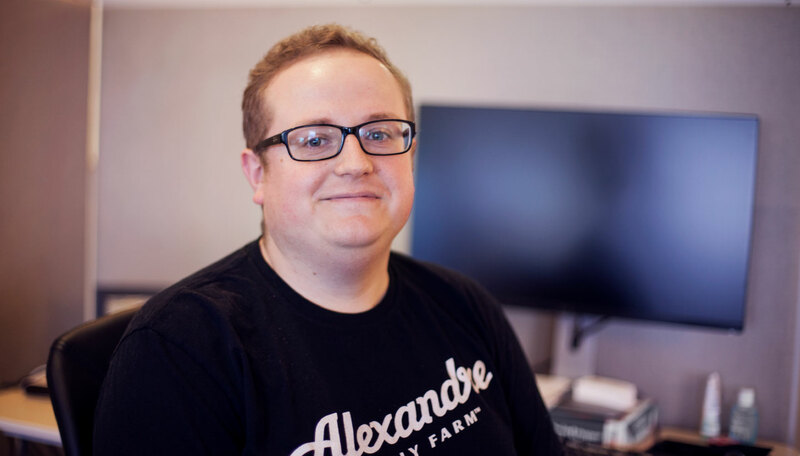 Welcome New Support Tech – Matt! 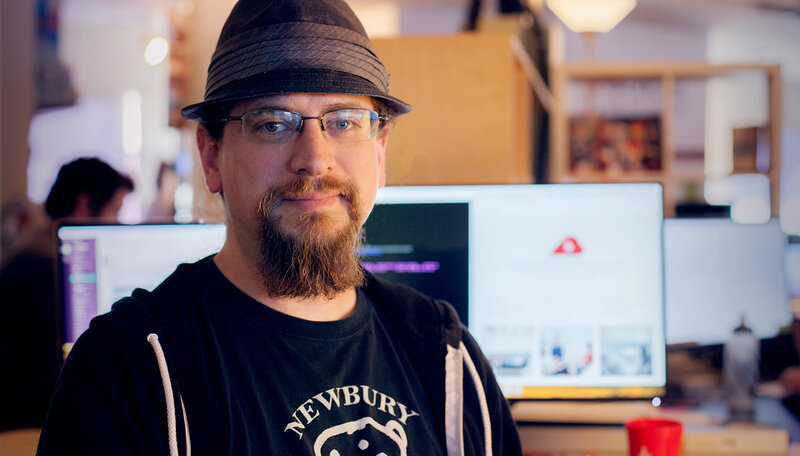 Our hiring spree keeps rolling and we have a new addition to the support team, Matt! He joins the team as a Junior Technical Support Rep, and will be helping answer folks’ questions, guiding them through the product, and making sure that everyone’s taken care of! Lets learn a bit more about Matt shall we? Everyone is super chill and I like how transparent everyone is. The culture is very casual and not overbearing. What the tech industry is like. The Chairman! Best bao ever. Being a chef has always interested me. It’s so interesting that we’ve turned food into an art. As much as I like video games, cooking is my favorite. Everyone eats, and it’s a good feeling to make food that people like. Currently trying to figure out how to make brussel sprouts taste better than brussel sprouts. Meeting my girlfriend. My life turned around when I met her. She’s taught me a lot of things. Good ol’ Cola. I quit drinking soda, though. As much as I love eating healthy, there’s nothing like spam. Because certain things are either fun or delicious. If you have any good recipes, I’ll probably cook it. Or try to. You’re right Matt, certain things are either fun or delicious, like The Chairman’s bao! Welcome aboard! The post Welcome New Support Tech – Matt! appeared first on Backblaze Blog | Cloud Storage & Cloud Backup. 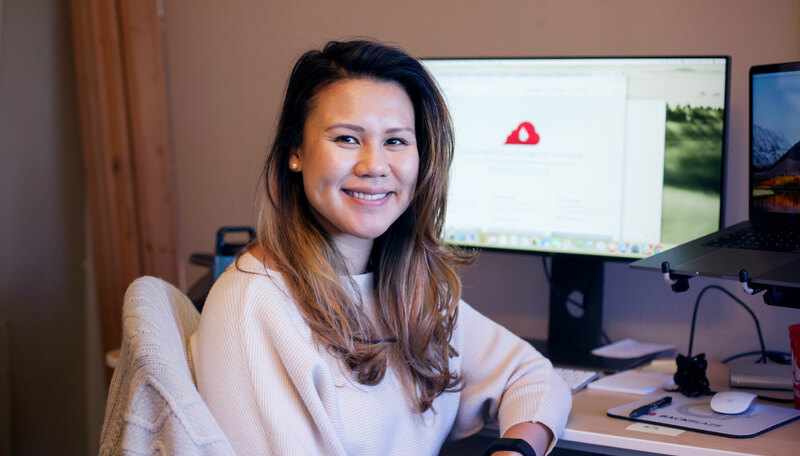 Welcome Lin – Our Newest Support Tech! As Backblaze continues to grow a couple of our departments need to grow right along with it. 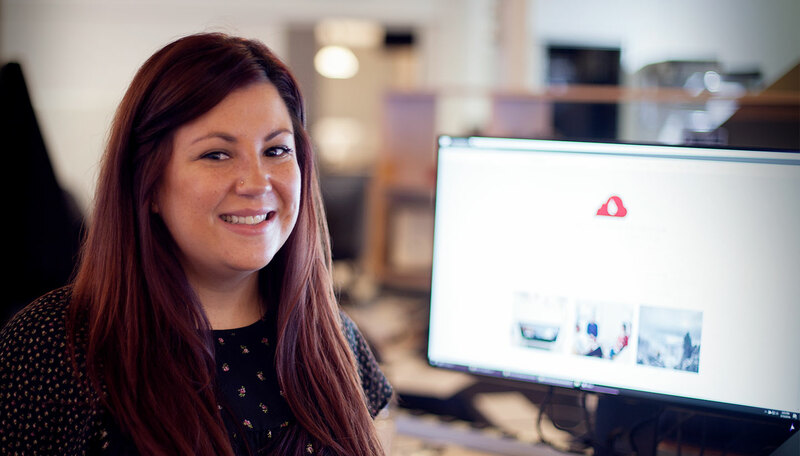 One of the quickest-growing departments we have at Backblaze is Customer Support. We do all of our support in-house and the team grows to accommodate our growing customer base! We have a new person joining us in support, Lin! Lets take a moment to learn a bit more about her shall we? Ventura, CA. It’s okay if you haven’t heard of it, it is very, very, small. The company culture, the delightful ads on Critical Role, and how immediately genuinely friendly everyone I met was. I previously did content management at Wish, and an awful lot of temp gigs. I did a few years at a coffee shop in the beginning of college, but my first job ever was a JoAnn’s Fabrics. Tokyo, but Disneyworld is a real close second. I spend an awful lot of time playing video games, and possibly even more making silly costumes. Truthfully I love both. But I was raised on original series and next generation Trek. I discovered Sailor Moon as a child and it possibly influenced my life way too much. Like many people here I am a huge Disney fan; Anyone who spends longer than a few hours with me will probably tell you I can go on for hours about my cat (but in my defense he’s adorable and fluffy and I have the pictures to prove it). We keep hiring folks that love Disney! It’s kind of amazing. It’s also nice to have folks in the office that can chat about the latest Critical Role episode! Welcome aboard Lin, we’ll try to get some funfetti stocked for the cupcakes that come in! The post Welcome Lin – Our Newest Support Tech! appeared first on Backblaze Blog | Cloud Storage & Cloud Backup.